Thanks Vipin for passing this to me. 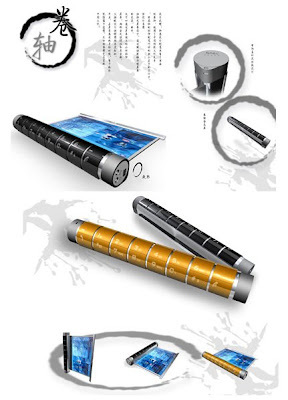 Another one of the concept phones, better known as "The Chinese Scroll Cellphone". you don’t need to unroll the scroll to make a call Yun Liang’s scroll cellphone takes its inspiration from how traditional Chinese paintings are unfurled. This one comes from Juniper Research who claim that there will be 24 million subscribers by 2012. The report discusses how LTE is expected to be the long term successor in mobile broadband as it offers a migration path from existing 3G/HSPA technologies already in place. Juniper Research forecasts that, by 2010, LTE - the next generation of mobile broadband (after HSPA), should be going commercial and high definition could by then be a reality on devices. However, the report warns that LTE needs to continually evolve to remain competitive in cost and performance versus the other leading mobile data technologies set to be foremost over the next five years. The report predicts that HSPA will dominate mobile broadband network deployments, consistently accounting for about 70% of the total mobile broadband subscriber base until 2012. Mobile WiMAX is also expected to achieve single digit proportion of the subscriber base by 2012. Report author, Howard Wilcox says, "We expect 3GLTE to begin to achieve significant market traction towards the 2011 to 2012 timeframe. By 2012, for example, we forecast that 3GLTE will represent around 24 million subscribers globally. As the GSM Association has said recently, it is a natural follow-on from HSPA and will benefit from the extensive installed base of HSPA worldwide. 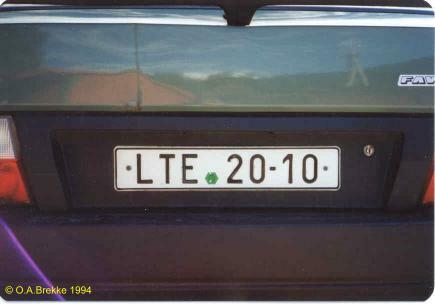 Western Europe will account for over half of LTE subscribers in 2012." Once these are rolled out, operators are going to go on HSPA+ which is the real evolution as it still uses WCDMA base. Why would operators want to abandon the tried and tested technology for something new unless there is no other option. So my guess would be that these stats will be true but 2 years later than predicted. LTE will start seeing mass rollouts by 2012 (just in time for London Olympics) and by 2014 there will be 24-25 million subscribers. In an article in Indian Express, the managing director of Vavasi Telegence Farid Arifuddin mentions that they have developed the next-generation wireless access technology called NG1. cost-effective solution for the delivery of services. We earnestly believe that this technology will bring telecom revolution in India, because with the advantages we have in terms of technological superiority, we have a competitive edge and we intend to pass it on to our consumers both in terms of price and product advantages. Since we have a fully IP-based network architecture, with far less infra requirement, rollout time is shorter and can be far more efficient. Moreover, India has not been able to have any significant say in the technological evolution so far. This could bring about a paradigm shift in the long-term evolution of the telecom sector. Didnt find any more information except that this technology is being developed in China. Even the official website of Vavasi has very limited information. Somehow i have a feeling that this is an existing technology being recycled/repackaged as a new technology. 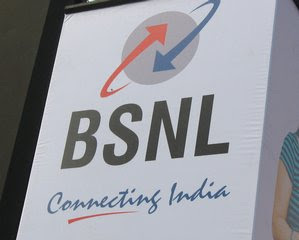 Bharat Sanchar Nigam Limited (known as BSNL), a public sector communications company in India, announced its Calcutta Telephones plans to launch WiMax in 40,000 villages and 70 cities, in India. India has chosen the IEEE 802.16e version of WiMax. It is expected to bridge the rural-urban digital divide by taking Internet and telephony to remote areas of the country. Dr SK Chakravarty, chief general manager, Calcutta Telephones, said the tender for the 40,000 villages would be floated within 10 days and the one for the 70 cities would be launched within two months. Initially, WiMax would be only for fixed-line applications. Chakravarty said that WiMax was already operational on an experimental basis in the city, at the Kalyani exchange. According to Senza Fili Newsletter new technologies like WiMAX are typically successful first in developed markets where disposable incomes are higher and new devices and services are adopted earlier. However, we expect WiMAX will initially be better suited to emerging markets. We predict in 'WiMAX: Ambitions and Reality' that emerging markets will account for 55 per cent of WiMAX subscribers by 2012. Demand for affordable, flexible broadband, coupled with the lack of wired broadband. Widespread 3G, lack of spectrum, and non-committal operators will delay mobile WiMAX in many developed markets. The value of mobile WiMAX is not mobility per se. Up to half of mobile phone calls are placed from the home or office. The percentage should be even higher for data-centric devices and applications. Operators estimate that up to 80 per cent of WiMAX access will be from indoors, where subscribers are stationary. The true appeal of mobile broadband in developed and developing countries is ubiquitous high-bandwidth network access. In developing countries, however, mobile WiMAX will be positioned differently. Rather than targeting high-ARPU business users, early adopters or tech-savvy teens, mobile WiMAX services will attract first-time broadband users without a fixed line data connection who are nevertheless accustomed to mobile phones. These subscribers cannot afford both fixed and mobile subscriptions. Mobile WiMAX offers them both on a single contract and a single device. Operators can offer mobile broadband ahead of fixed broadband, adding value by combining fixed and mobile access. For instance, a retailer may need broadband in his shop, using both data and VoIP applications. After work he may take his WiMAX device home where he and his family can make VoIP calls or access personal email. WiMAX operators, both greenfield and established players, have been very active in markets such as Russia, Eastern Europe, Latin America and India. In most cases the initial focus is on fixed broadband access, where demand is known and devices, albeit expensive, are available. Most operators, however, see the potential for mobile access and want to enhance their networks when devices become available. Device availability is key. Operators are still dependent on a limited selection of form factors: desktop modems, PCMCIA cards and, soon, a few PDAs. Vendors need to offer new form factors, new functionality, and new price points, based on the specific requirements of emerging markets. The traditional model of marketing of low-cost, entry-level devices to emerging countries is no longer sufficient. This is a reponse to the question 'What exactly constitutes an IMS Client' that was posted by various people on ForumOxford. IMS core functions, such as registration,session control, authentication , authorization, accounting, QoS etc. IMS enablers for services, such as presence, IM, location, PoC etc. IMS service enabler based applications, such as an IM client, presence client etc. The harmonization work in the IMS specifications is currently a work-in-progress with multiple standards development organizations on an industry-wide scale, and will have impacts on the evolution of the IMS client. Ericsson, PCTEL, and others have advertised various flavours of IMS clients. Overall both vendors and providers have a significant interest in the IMS framework, and the adoption timeframes are expected to be over the next few years, since it is a significant paradigm shift from the existing service delivery models. Vendors with IMS clients include Ericsson Mobile Platforms, Movial, Ecrio, Comneon (part of Infineon) and a bunch of others. 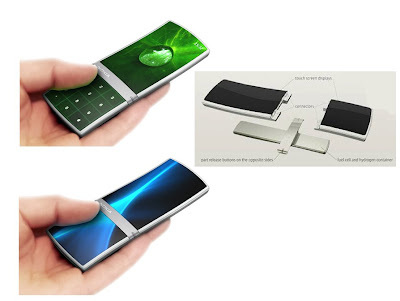 Nokia probably has its own one in development as part of a future version of S60. Unfortunately, there are no standards for how the framework-application integration works. You can't put Movial application easily on top of an Ericsson framework. Until that's fixed, there will be very few IMS handsets, because developers will not want to have to port IMS apps to a dozen different IMS frameworks. The OMTP has released some specifications about IMS phones which should help matters. There's also still a lot of questions about how the IMS part of the phone integrates with the non-IMS bits (SMS, browser, TV, IT applications , non-IMS SIP applications etc). The IMS framework provides a high-level of abstraction that enables applications to be developed and integrated without being impeded by the access technology specific nuances. 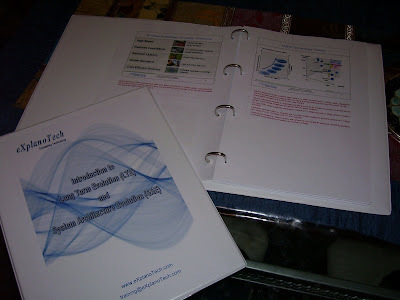 SIP applications, or any other applications that are implemented without the IMS framework will be subject to both implementation and integration complexities, particularly in the mobile space, where the complexities of the RF link impact the implementation, integration, and the user-experience. Note: the IMS framework has several aspects to it in terms of hooks into the various underlying access technologies, as well as a common layer of abstraction and information hiding, which is invaluable for widespread third-party application development, as well for a reduction of integration complexities. The bearer-level aspects are being addressed with respect to the various prominent access technologies such as LTE, UMB, WiMAX and Packet Cable. According to Dean Bubley, entire Internet & IT community is negative towards IMS - Google, Microsoft, Yahoo, Skype et al. IMS = walled-garden SIP, or perhaps more amusingly an "Internet Monetisation System". The current setup of the Internet is that centrally-controlled QoS and charging is anathema. IMS harks back to the legacy days of bundling access & service. That's fine for certain things, but totally inappropriate for the Internet, as that control adds latency & friction to development & innovation. I've heard IMS vendors talk about developers and "2 men & a dog in a garage", when what they actually meant was "2 men, a dog & a 30-person legal department". As a simple example - could you imagine that anything as mindbogglingly useful as PDF would have evolved had the Internet been based on IMS principles? Download the client for free & then use it in perpetuity as a browser plug-in? No, we would all have been charged for a usage-based 'document viewing service', and it would never have got the traction. The one thing that could change the situation is if one of the vendors - perhaps Cisco or Avaya - invented a private IMS architecture, that enterprises or large Internet firms could own. It would be deeply amusing if Merrill Lynch or GlaxoSmithKline deployed their own IMS's, and started charging interconnect fees to the telcos. Blyk is a new MVNO in UK which is trying out a unique MVNO (Mobile Virtual Network Operator ... in case you didnt know) model. Launched last September, Blyk only allows youngsters aged 16 to 24 years old to subscribe (which gives a clear demographic signal to advertisers). And in exchange for receiving a maximum of six advertising messages per day, users get 217 free texts and 43 voice minutes a month to use. After that, Blyk subscribers, all of whom are pre-paid users, pay 10p (US$0.20) per text and voice calls are charged at 15p (US$0.30) per minute. Blyk launch is timed for the start of the new school term in the UK. It’s a smart move but it’s not surprising. Blyk has a very experienced team, headed by backer former Nokia president Pekka Ala-Pietila and Antti Öhrling, a branding veteran. Blyk already has an impressive advertising line-up, including Coca-Cola, Xbox, Adidas and McDonald’s. The MVNO had managed to attract a total of 40 advertisers at launch. Blyk has good management pedigree. Pekka Ala-Pietilä, co-founder and CEO of Blyk, is the former president of Nokia Corp. The MVNO says it will go pan-European next year. BT is showcasing a new TV concept at this year’s Broadband World Forum that could dramatically change viewing habits and provide it with a lucrative source of revenue. Dubbed New Media 2 (or NM2), its latest project could allow a TV producer to develop the storyline of a new drama program based on feedback from viewers. Using the interactivity of an IPTV service, viewers would periodically be able to choose how a story should evolve — perhaps killing off their least favorite character or causing a young unmarried couple to tie the knot. BT Vision is “on track” to make its year-end target of serving 100,000 subscribers. Launched in December last year, the service had attracted just 20,000 customers by June, and BT has since been at pains to ramp up the offer and give it broader appeal. It recently signed a deal with Setanta, a sports channel delivered using digital terrestrial technology, and claims the inclusion of more sports content has had a major impact on growth. BT has also launched a "self-install" version of the service, so engineers do not have to go to each and every home. In other news, Millions of broadband users across the world are finding IPTV hard to resist, with customer numbers rising from 2,950,000 to 8,229,000 in the 12 months leading to June 2007. That is the finding of the DSL Forum, a lobby group for DSL broadband technology, based on new research commissioned from consultancy Point Topic. Most of the growth came from Europe, where the number of IPTV customers soared to 4,984,000 from 1,505,000 a year earlier. In the Americas, 660,000 broadband customers signed up to IPTV services, giving the region a total of 1,069,000 users, while the Asia Pacific added 1,189,000 customers to give it 2,176,000 subscribers. According to a TotalTele article: Despite massive investments and headline-grabbing contracts with many of the world's largest phone companies, only about 500,000 homes now get TV from phone companies using Microsoft software and technology. In a market where dozens of small companies have developed an expertise in key niches, from video servers to set-top boxes, Microsoft has tried to cover all the bases of delivering TV programming via Internet technology—an approach that for many carriers has proved harder and more expensive than expected to carry out on a large scale. But for the moment, the pace seems to be picking up on this slow march toward TV innovation, as plans to use Microsoft's Internet protocol TV products actually begin getting off the ground. AT&T (T), which by most accounts has been the poster child for Microsoft's disappointing progress, said in October that its U-Verse IPTV service had amassed 126,000 customers in the third quarter, from 51,000 in the second quarter. Ma Bell plans to make the service available to 8 million homes by the end of the year, up from 5 million now. Swisscom says it has lured 50,000 of Switzerland's 3 million homes away from cable and satellite rivals using Microsoft IPTV. A year after launching its BT Vision IPTV service, British Telecom Group (BT) will release figures on subscriber gains on Nov. 8. BT Vision Chief Executive Dan Marks says his target is to sign up 2 million to 3 million customers within three to five years. "It took longer than everyone wanted to get to this point, but we're pretty comfortable with the way things are going," Marks says. 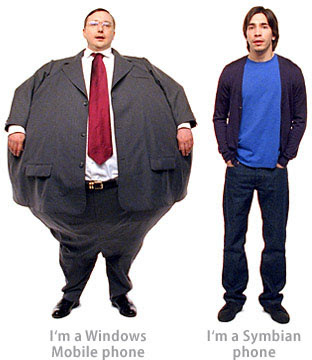 Microsoft continues to line up new business. On Nov. 5, Indian telecom powerhouse Reliance Communications announced a $500 million deal to begin delivering Microsoft's technology by April, 2008—four years after first announcing a partnership with Microsoft. Yankee Group analyst Vince Vittore expects an increase in 2008, though he won't predict how steep. "It's a complicated business," Vittore says. "But Microsoft is starting to get traction, and they've got the biggest carriers as key customers." Different providers have different views about IPTV. This report examines what the customers are willing to pay for and how much. Another issue is the competetion between IP Television (IPTV) and Internet Television (I-TV). With the devices converging, soon people may stop buying seperate TV and start using PC's for watching TV over Internet and this could cause serious problems for IPTV. When we talk about IPTV, different operators have different ideas and visions. This article talks about some of these conflicting visions and what it means for us. Finally, its not easy using the normal existing Phone lines for transmitting IPTV. This article gives an idea as to what is required. Another technology being discussed nowadays is Carrier Ethernet Transport (CET). Though this is not a wireless technology as such, it would still be very important as (can be seen from the diagram) the user data will be carried over this to the core. A simple and straightforward explanation was not as easy to find but here are some more details which will give you a good idea. Ethernet and minimizes operational complexities. Ethernet Tunnels, such as PBB-TE and T-MPLS . Carrier Ethernet Transport is an architecture for NGNs based on wavelength networking. Services from both wireless and wireline access networks are simultaneously carried on a single network infrastructure. 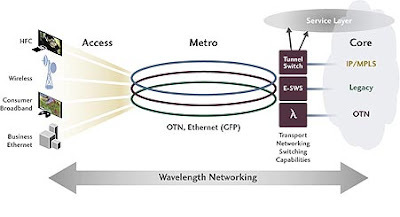 Three levels of embedded transport networking switching capabilities (wavelength, sub-wavelength, and Ethernet tunnels) provide a cost-effective transport network that can support services with guaranteed service level agreements (SLAs). A good introduction is an article in Lightwave titled, "Carrier Ethernet transport: No longer 'if,' but 'how'". There are some very good diagrams explaining the concept and its difficult to reproduce them here. Another article in Converge! Network Digest suggests that CET is not the only way and there are alternative technologies available. 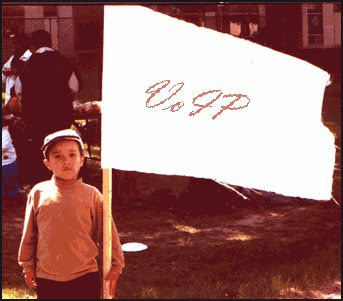 The main advantage with CET is that it can reduce complexity compared to its main rivals. Additionally, CET provides an architecture that clearly separates the service and transport layers. Separation is an important attribute to allow the independent and efficient scaling of the service and transport layers. Separation also allows the transport layer to focus on its main task in the network – to provide to the access and service networks a large volume of circuit-orientated point-to-point paths that are deterministic and reliable. Telecommunications: You mentioned CET. Although it’s still an early concept, how are service providers responding to the idea at this time? Telecommunications: Outside of traditional enterprise services, there’s a lot of talk about using Ethernet for wireless backhaul. Albeit it’s still early, are your carrier customers investigating Ethernet for that application? 1. Base Station Migration: The base stations themselves are migrating from TDM/ATM to 4G or Ethernet. We have the luxury in that we manufacture both the base station and the transmission equipment. We have a dedicated solution because we understand both ends of the market. It’s quite clear that Ethernet will play a role in 4G deployments. 2. Pseudowires: On the other side, carriers are looking to reuse their opex to carry 2G and 3G over Ethernet with Pseudowire rather than SONET/SDH networks. We see it mainly coming from competitive carriers that are trying to fight on the backhaul business to fight with traditional ILECs and PTTs. Having said that we at Nokia Siemens are providing a solution that addresses the current scenario where you have 2G, 3G, and a migration for 4G. What you see in both cases is this metro Ethernet network not only has to address not only Ethernet traffic, but also highly sensitive voice traffic over TDM. For that we believe that concepts like connection-oriented Ethernet can provide five-9s reliability for this kind of service. It’s no longer just about Ethernet access. Telecommunications: Earlier you mentioned Carrier Ethernet Transport (CET). One of the emerging debates to come out of the CET concept is the use of Provider Backbone Transport (PBT)/Provider Backbone Bridging-Transport Engineering (PBB-TE). How are these concepts resonating with the service provider community? Bar-on: We’re seeing that everyone is interested in that and want to see if it’s real. Major carriers in the U.S. are very interested in the technology and are in a position to see that it’s real and it’s working. If you look at the cycle of technology, we are probably in the early beginning of the deployment of this technology at least in the U.S. market. We see other groups in Europe going quicker and are leading the camp here, but no one can really ignore this thing. Even if I look at the RFPs by major U.S. carrier out in the market some of them are including requirements for PBT/PBB-TE. If you think about this now and where we were a year ago that’s a major step. Nokia announced earlier this week that the LSTI (LTE/SAE Trial Initiative) had achieved a 100 megabits-per-second data transfer speed in recent tests. LTE/SAE is an evolved version of today's mobile phone radio access technology designed for faster data transfer with a simplified architecture, using new transmission schemes and advanced antenna technology. Initial deployment configurations are specified to have downlink rates above 100 Mbps and uplink rates above 50 Mbps. 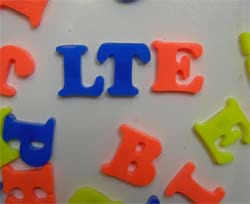 The initiative, launched in May by telecommunications companies Alcatel-Lucent, Ericsson, France Telecom/Orange, Nokia, Nokia Siemens Networks, Nortel, T-Mobile and Vodafone, seeks to prove to the 3G Partnership Project (3GPP) the potential of LTE/SAE as a new standard. Joint testing, and reporting of ongoing results will continue out to the end of 2009, with initial LTE system deployments planned for the 2010 timeframe. Between here and the 4G promised land are several hurdles. First, most carriers will need new radio spectrum to carry LTE services. Current 3G uses about 5MHz of spectrum for communication from the base station to the handset and 5MHz the other direction, while LTE will need about twice that much to deliver the promised speeds. Auctions in Europe for "3G extension" bands that could be used for LTE will probably be done by 2010, but current users may still be vacating it. In the U.S., parts of the 700MHz spectrum set to be auctioned early next year could be used for LTE. Note: If you are looking for any corporate or individual training relating to LTE, etc. do contact me. A bit old concept but still good enough. Nokia's concept phone, designed to highlight the company's focus on products that allow users to more readily stamp their personality on their gadgets. The concept phone, dubbed Aeon, combines two touch-sensitive panels mounted on a fuel-cell power pack. The handset's connectivity and electronics are built into the panels to allow them to be used independendently. When assembled, one panel would operate as the display, the other as the keypad. Since the buttons are entirely virtual, Aeon can flip instantly between a numeric pad for dialling, a text-entry pad for messaging, or a media-player controller. 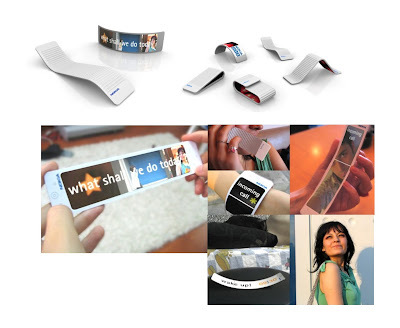 It's a cute idea and one that ties in with Nokia's expectation that phones will become essentially "wearable" devices - if foresees users removing one of Aeon's display panels and mounting it on a watch-like strap or worn as a badge. IP Convergence implies the carriage of different types of traffic such as voice, video, data, and images over a single network. The integrated network is based on the Internet Protocol (IP). The reason I am talking about this is because of the way things are moving; everything converging to IP based core. Most network operators and enterprises need to understand how to rapidly transform or evolve their wireless, wireline or enterprise networks into all-IP backbones quickly and effectively to stay competitive and differentiate themselves. This “IP transformation” brings with it an array of communications, applications, service delivery and network challenges. As service providers and enterprises take steps to plan and manage their IP transformation efforts, they are confronted by fundamental changes IP has impacted on the technology landscape. Convergence is happening at a rapid rate — IT systems, networks, services and applications are blending together. The ability to integrate different platforms, applications, content, and services from a variety of vendors has become essential not only to improve costs, but also to enhance network reliability, security, and efficiency. Service providers and enterprises need to differentiate to compete better, add new subscribers, and offer new advanced communications services and applications. For service providers, it means providing customers the services they want, when they want them, from anywhere they are, while consistently delivering a higher quality of experience. For enterprises, it may imply lowering network costs by providing new value and extending the lifecycle of existing network assets. Services transformation: As shifting demands, greater expectations, and the emphasis on the user experience continue to reshape today’s market, the ability to adjust to new conditions and rapidly take advantage of emerging opportunities is more important than ever. · Utilizing IMS to move toward a Service Delivery Environment (SDE), thus enabling access to which with the right underpinnings can be seamlessly blended together in a controlled and sophisticated manner to create a new, compelling experience that assures users service delivery. For enterprises, service transformation could mean enabling new IP-PBX services with advanced mobile technologies. The business case for service transformation must be clear from the beginning. Organizations should not disregard the continued usefulness and reliability of any legacy deployment in place. If in fact the legacy service is out of date or its functionality no longer suits the needs of the organization, then the cost of maintaining it could be a motivating factor for service transformation. Network transformation: Traditional service providers need to transform their legacy network environment to IP to support innovation and lower their operating expenses. This can be a daunting task. Take for example the implication of moving to distributed architectures, such as IMS, which allow an unprecedented level of vendor diversity. This new level of flexibility opens the door to an unprecedented level of flexibility in solution architectures and introduces the need for extensive interoperability testing that many carriers are finding cannot be left to vendors to sort out on their own. For traditional operators, a move to IP also entails the planning and management of the migration of millions of customer lines. Likewise, enterprises continue to use IP to converge and transform their networks, adding capabilities that greatly enhance their ability to reduce costs and increase functionality. However, the way employees communicate is growing more complex. They use a range of voice communications like desk phones in the office, mobile phones in their pockets, and IP phone services like GoogleTalk or Skype on their laptops. They use voicemail, e-mail and text messaging, as well as presence- enabled IM. They access Web content and private intranet information. And they do all of this from multiple end-points through different access technologies — from within an enterprise, at home, or remotely. Business transformation: With market forces and industry trends undergoing disruptive change, leading carrier organizations need an ever greater “transformation tool box” to help navigate the environment to create a new vision for the business, develop the step-by-step roadmap to realize that vision, build the business case to justify investments and identify the operations models that support the business going forward. Meanwhile, enterprises are rapidly evolving their business models to increase their overall agility to respond better to market conditions. Given mergers, acquisitions, industry consolidation, and shareholder expectations, enterprises will be under continuous pressure to devise new ways to outperform their competitors. 1. Excellent support for multimedia applications. Improved connectivity means that devices can be assigned specific tasks; the number of devices required is less which makes installation, deployment, and learning an easier task. 2. A converged IP network is a single platform on which interoperable devices can be run in innovative ways. Since IP is an open standard, it is vendor independent and this helps in fostering interoperability and improving network efficiency in terms of time and cost. The ambit of IP convergence encompasses networks, devices, and different technologies and systems that can be operated on a unified infrastructure. 3. A converged IP network is easier to manage because of the uniform setup in which the system resources operate. Training users is easy. 4. An enterprise can achieve flexibility in terms of moulding its communication patterns to its management practices. This is a dynamic process that can be continually improved with collaboration from network partners. What this results in is the right information to the right person at the right time leading to improved decision making. 5. IP networks have proven to be remarkably scalable and this has been one of the prime reasons that even large enterprises have gone ahead with implementing IP. Applications that run on IP networks are available all over the world; in fact most new business applications include inbuilt IP support. 6. An IP convergent network is capable of making use of the developments in class of service differentiation and QoS-based routing. This leads to better utilization of resources and also allows for capacity redundancy to take care of an increase in the number of users. 7. A uniform environment requires fewer components in the network. Smoother maintenance and management result from this and in turn lead to improved processes. Affordable deployment results from the elimination of multiple networks operating in parallel and manageability improves. In a converged environment, fewer platforms need to be tested and gateways between networks are eliminated. 8. Business applications have different tolerance levels for transit delays, dropped packets, and error rates. IP architecture is capable of handling these so that the QoS reflects the requirements of the different applications. 9. Device integration has the potential to simplify end-to-end security management and at the same time make it more robust. Continuous development is taking place in field of security for IP data communication. 10. A converged IP network offers a business tremendous cost savings in terms of hardware and space utilization. It opens up more markets that can be reached, more products that can be introduced, increases employee productivity and mobility, and enables even smaller companies to compete with larger ones because of faster information relay. propagation. The received signal looks as if there is only a single base station transmitting, but with more multipath components. Therefore, this approach is called an SFN (Single Frequency Network). Similar approach is also used in other Mobile-TV technologies like DVB-H. The SFN approach is available in Release 7 and can be implemented with relatively minor modifications to the radio network while providing a major gain in the broadcast data rates. On the other hand, SFN transmission requires that the whole 5 MHz carrier is allocated for MBMS usage only, which requires that the total amount of spectrum for the operator is large enough. 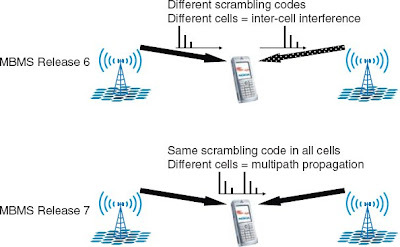 Source: WCDMA for UMTS – HSPA Evolution and LTE, fourth edition. Edited by Harri Holma and Antti Toskala, John Wiley & Sons, Ltd. Interesting article from telecoms.com, i had missed earlier. Mobile TV is one of my pet topics so if you see me not mentioning about some important article then do mention it here. if anything, more uncertain. As individual carriers in different markets adopt their preferred technologies, the list of 'standard' broadcast solutions seems to be growing at the same rate as new services are launched. In Europe, during the summer, the EC finally backed DVB-H for mobile TV rather than remaining technology neutral. In Japan and South Korea, service uptake on existing ISDB-T, and T-DMB and S-DMB, is continuing to build, albeit slowly. In the US, Verizon and AT&T have both selected Qualcomm's MediaFLO solution, which launched in March and Verizon has already gone live. Meanwhile, BT Movio's, and therefore Virgin Mobile's, DAB solution in the UK folded due to poor uptake less than one year after launch, along with Crown Castle's DVB-H solution in the US. On Europe, David McQueen, principal analyst Informa Telecoms&Media says: "It is possible to see the logic of support for a single mobile TV standard for Europe. GSM as a de facto standard allowed economies of scale in the industry, and made roaming easier. In theory, therefore, choosing DVB-H, is like getting the whole of Europe to go down the GSM route. Also, you are backing the frontrunner." But backing a frontrunner that won't arrive in some markets until 2012 seems a trifle premature; at least, so says ROK TV CEO, Bruce Renny: "You have got to look at when this service is going to be available in the UK. I can tell you, 2012 at the earliest when the last of the analogues is switched off. Now 2012 in the mobile environment is a lifetime away. I mean, a month is a long time in the mobile entertainment space, quite apart from five or six years." A recent report from Dutch analyst house Telecompaper revealed that, although three operators (KPN, Vodafone and Orange) in the Netherlands offer mobile TV, only 1.4 per cent of subscribers has watched TV using a cellphone. In fact, from a list of 22 unique data services, mobile TV was the least popular. M:Metrics, meanwhile, found that the number of subscribers that watched any commercial programmed mobile TV and/or video, once or more, in a month in France, Germany, Spain, Italy and the UK combined, in the three months ending July 2007, was 2,386,795. It looks like a fair size number, but in reality it's only 1.12 per cent of subscribers. 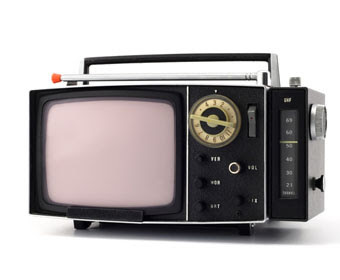 In a recent strategic report Mobile TV: Broadcast Network Rollouts, Business Models and Handsets, Informa Telecoms&Media predicts the market for broadcast mobile TV devices grew from 0.81 million in 2005 to just over four million in 2006. These devices are expected to find their way into 12.3 per cent of new handset sales by 2012, representing an expected market of 178 million phones. The ITM report states that an inflection point is expected to occur in 2009 as network rollout and device availability allow for the market to reach some level of critical mass. Informa goes on to predict that there will be 335.6 million broadcast mobile TV users worldwide by 2012, up from a mere 12.1 million expected in 2007, with an inflection point expected in 2009-2010. According to Informa, a number of possible scenarios emerge that could enhance or dilute mobile operator strengths in the mobile TV value chain. First, the 'discrete' business model, where the MNO chooses to provide TV services only over its own cellular networks, or via network optimised solutions, with no other broadcast network interaction. Second, the 'principal' business model, where the MNO is lead player in the broadcast TV industry, which includes some level of interaction with broadcast network services. Third, a 'converged' business model, where the MNO and others in the value chain work in cooperation to take advantage of the complementary nature of cellular and broadcast networks. And fourth, the 'bypassed' business model, where the MNO is bypassed altogether by a broadcast network operator in providing mobile broadcast TV, but may still provide an uplink. There are advantages and disadvantages that go along with each of the above scenarios. The discrete model will appeal most to those operators that have already invested in a 3G network, since it requires minimal further investment and it ensures that the MNO retains full control of the service and therefore will derive the optimal revenues. Not surprisingly, most of the noise coming from tech vendors at the moment surrounds rolling out new kit as part of a broadcast solution. Detractors of the discrete model point out that a unicast offering is limiting and would have a detrimental effect on other 3G services in the cell. Therefore, they say, operators need to embrace either a principal or converged model. "We already have mobile TV on networks with 3G. So if you have invested in a 3G network it is very cheap to deploy a service," points out Alban Couturier, mobile TV product manager, Thomson. "But for users the data cost is high. Which puts people off. Using DVB-H you have lots of costs to deploy, but new customer additions are cheap. Once you reach critical mass, the costs become very low. You can't have that with 3G," he says. One firm only too happy to be involved in Vodafone's discrete model is British Sky Broadcasting. Steven Nuttall, director commercial group, British Sky Broadcasting, speaking on a recent Telecoms.com webinar, outlined how pleased he is with the pace of mobile TV in the UK: "A year or so into running a service, we've got several hundred thousand customers, paying real money to use it. We've got millions of people using more general mobile services, many of which are video, so I don't know at what point you would say that video is a mass market. I think it is reasonable to say that at a minimum we're pretty close to that point already." ROK TV's Renny says his firm offers a discrete solution for carriers that have yet to rollout 3G networks. "There are 100 million people worldwide who have signed up to 3G. It sounds impressive, but that's about three per cent of the global mobile market. A 100 million uptake across a three billion market place is, in anyone's language, niche." ROK offers the ability to stream video over what Renny says are vastly underused GPRS networks. "I think linear TV over mobile phones will prove very popular indeed. The question is how many people will be willing to pay a subscription service to receive linear TV on their mobile phone? Particularly, when you get all that at home for free. The notion of 'build it and they will come' is flawed," he says. Renny points out that TV on the mobile is not the same as broadcast TV. "It isn't viewed in the same way, it is delivered through a different vehicle and it is a different animal completely. Broadcast TV available on mobile phones will prove popular, but only as a value add in a general mobile bundle. As a stand alone subscription service it will have very limited uptake indeed," he says. Another firm that advocates taking full advantage of existing resources is IPWireless. The firm's TDtv offering uses the 5Mhz of UMTS TDD spectrum that the majority of 3G operators across Europe have at their disposal. Thanks to the 3GPP specified MBMS (Multimedia Broadcast and Multicast Services), operators can take an existing 3G network and render it multicast, rather than unicast. The firm had a multi-operator trial in the UK city of Bristol last year. CMO Jon Hambidge told MCI the technology matches DVB-H and MediaFLO in terms of available channels and he is confident that an operator in Europe will go live with the service sometime next year. "A lot of people are questioning the need for broadcast services," says Hambidge. "One of the reasons is that they are very expensive. I've seen some economic analysis on DVB-H showing that it has a very hard time breaking even down at a ????? ?5 type level. I think the economic analysis we've seen shows that TDtv, for an MNO, is going to breakeven somewhere around a five times lower price point. So it really keeps mobile TV as a 3G service." While ROK's Renny may think the 'build it and they'll come' scenario is flawed, Qualcomm would disagree. 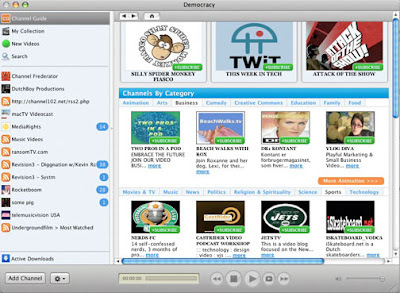 The San Diego firm's subsidiary MediaFLO USA rolled out its mobile TV solution across America going live in March 2007. Subsequent to that, Verizon launched a service on the network, and will soon be followed by AT&T. "There are a lot of challenges with that pure wholesale approach," says Omar Javaid, VP of global strategy and business development at Qualcomm. "The interesting thing about mobile TV is that it is a converged service and there are so many different industries involved. When the telecommunications industry is looking at it, they're looking at it primarily from an infrastructural and technology approach, and what tends to get missed in that equation is the whole content rights issue." Javaid highlights a common assumption that the free-to-air broadcasters will simply provide their content for mobile TV platforms. While the content providers will maintain that the rights for free-to-air broadcast do not extend to this kind of platform. So the content rights need renegotiating, and they're not free. "When you work out the match it becomes much more expensive. Both from a wholesale perspective and then subsequently a retail perspective. I don't think it is impossible to do, but somebody ends up having a pretty marginal business," he says. Each of the networks under consideration for delivering mobile TV has their own advantages and drawbacks. The most recurrent themes are the ability to provide a one-to-many broadcast topology, network and device costs, reception quality, regulation, spectrum allocation and efficiency, handset manufacturer and network vendor support, and technology fragmentation in different geographic regions. Broadcast networks use spectrum allocation and one-to-many broadcast efficiently, unlike many of the mobile TV point-to-point offerings available over cellular networks, even 3G, which put the network under enormous strain. The broadcast network technologies, such as DVB-H, MediaFLO and DMB, are far more efficient in terms of time and bandwidth usage, which means they are more cost effective, but they do not enable fully interactive content, something that the cellular networks can provide. However, fragmentation of the market into different technologies using different frequencies is a major risk for the nascent mobile broadcast TV market. For now, the most sensible plan looks like the one advocated by Anders Kalvemark of Ericsson: "I think we will see various types here. Our main strategy is that the operators will have their own 3G networks and then they will enable broadcast capabilities, which could be NGN, so the evolution of 3G. Dedicated broadcast networks will probably arrive, they already have in a few countries, but it is obviously a large investment. I wouldn't be surprised if we saw a consortium of operators coming together to set up these types of network." Alban Couturier of Thomson: "3G operators should leverage existing services by offering a hybrid of services. They should offer the most popular channels over broadcast, but they should offer the long tail over 3G because it is ideally suited for video on demand." Of the four models described by Informa Telecoms&Media, it is possible that, for the longer term success of the mobile TV industry, cooperation and understanding between the players in the value chain, providing a converged solution will ensure the best possible experience for the customer. This allows broadcast media to be combined with, and used to complement, cellular communications to enrich the user experience and encourage interactivity. There will undoubtedly be problems with implementing this scenario with so many large brands fighting turf wars. But, if the industry can overcome its natural competitiveness in this instance, it will allow the delivery of new revenue sources for all in the value chain. However, mobile operators currently offer mobile video and TV services over their own 2.5G and 3G networks and the advent of broadcast networks in the mobile space will undoubtedly affect their stature in the ecosystem. Although much is made regarding operators providing a return channel for interactive services, a potential future scenario could be one where even the provision of this channel is taken away as return channels become more prevalent through the broadcast network, weakening the position of the mobile operator in the mobile TV value chain. 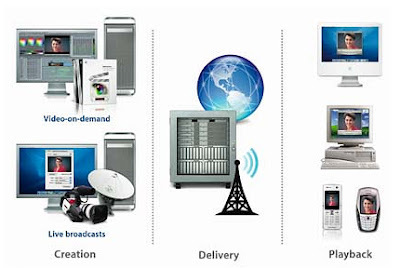 In contrast, the migration by the operators to next-generation 3.5G and 4G networks could also negate the need by the operator to involve broadcast networks in the provision of mobile TV as these will allow for greater speed and bandwidth to provide a more cost-effective mobile TV offering. Back in 2006, Virgin Mobile's head of mobile TV Paul Coombes told MCI his firm was launching using a DAB solution because it was "available". Right now, that choice seems like folly. Not surprisingly, neither BT nor Virgin wanted to comment for this piece. In fairness, there really are no sure things in this industry. But right now, trying to back a winning solution looks more like an expensive gamble rather than a sound investment. Spreadtrum Communications Zhongxing Telecommunication Equipment (ZTE) have announced that the ZTE R&D Centre (Shanghai) has demonstrated TD-MBMS network services using Spreadtrum's TD-SCDMA/GSM/GPRS dual-mode chipset solution. As a new TD-SCDMA multimedia service, TD-MBMS targets the mid to high-end segments of the 3G mobile market. TD-MBMS is now technically feasible on the TD-SCDMA network built using ZTE's equipment. With the adoption of Spreadtrum's SC8800D TD-SCDMA/GSM/GPRS dual-mode chip and platform, TD-MBMS could be applied to mobile phones, providing smooth images and clear sound. This successful demonstration of MBMS based on the TD-SCDMA standard indicates that the TD-MBMS technology is ready for commercialization. This new TD-MBMS development is another step in the joint commercialization of TD-SCDMA by Spreadtrum and ZTE, following the strategic partnership agreement between Spreadtrum and ZTE announced on August 29, 2007. Dr. Datong Chen, CTO of Spreadtrum, said, ''We are very pleased to be a part of ZTE's successful demonstration of the industry's first TD-MBMS services. We believe this not only enriches the growing level of 3G TD-SCDMA multimedia services, but also enables TD-SCDMA mobile phones to satisfy the diverse requirements of its targeted users. In addition, Spreadtrum's TD- SCDMA/GSM/GPRS dual-mode chip and platform can equip the handset manufacturers with competitive technical advantages of TD-SCDMA mobile phones." Mr. Yuhong Duan, ZTE's General Manager of TD products, said, ''ZTE has been focused on the research and technical evolvement of the TD-SCDMA standard for several years, and it is the first to support TD-MBMS on the system side in the industry. We have recently provided 'Introduction to Long Term Evolution (LTE) and System Architecture Evolution (SAE)' training to couple of companies and have received positive feedback on them. In case if your company or anyone you know is planning some training on LTE, please recommend us. This does make it sound better than the normal HSDPA network which would be difficult for laymen to understand. Nut why not simply call it Fast 3G or Super fast 3G (but this term may be better for LTE). Anyway, their maximum downlink speeds of 3.6Mbps is not very impressive as the theoretical speeds of 14.4Mbps is possible. In the first half of 2007, 34.6 million Symbian OS-powered smartphones were shipped. So we're up to roughly 70 million a year, out of around a billion 'phones' sold per year. So 7% of all phones are powered by Symbian OS. And, interestingly, worldwide sales of desktop and laptop PCs aren't much higher and are set to be overtaken - so the smartphone will become the dominant computing form factor in the next year. Looking at 'smartphones', i.e. those which can be extended using native applications (as opposed to Java midlets), Symbian OS now has a 72.4% market share (as at the end of Q2, 2007), up from 70% a year ago. If you're interested, Linux is in second place, with 13.3%, Microsoft in third with 6.1% for Windows Mobile and RIM (Blackberry) in fourth with 5.3%. Apparently there are now 7888 native third party applications written to run on Symbian OS, and this number is up by almost 50% from a year ago. There's been a lot of interest in starting to develop software for Symbian OS, with (apparently) over 70,000 downloads of the starter PDF on the Symbian web site. China's a big growth area, sales of Symbian OS-powered phones in China already account for over 12% of Symbian's market. As with India, this can only grow and grow, despite the wide availability of cheap knock-off devices. You're probably wondering how Apple's iPhone is doing. Leaving aside questions about whether it's a true smartphone or not, it's currently selling at 1.3% of worldwide smartphone sales (but 12% of smartphone sales in the USA).